Since a long time, Microsoft Outlook is the widely used email client among business users. It stores all its data in PST file format. Additionally, MS Outlook has an inbuilt utility also called Inbox Repair Tool, which is named as scanpst.exe to resolve the error in it. The main motive of scanpst.exe is to fix all the issues of MS Outlook, which mainly occur due to some internal problems or corruption in PST file. However, in some cases, users receives an error when scanpst.exe did not fix the problem. Thus, it is important to identify the reasons behind such error and fix it correctly. Why Scanpst.exe Fails to Repair Corrupt PST File? If the Outlook data file (.pst) is badly corrupted, then scanpst.exe did not fix the problem. If MS Outlook is still able to open PST file, then it is advised to create a new Outlook data file and copy the data from old PST file to new one. First, make a copy of the PST file that you want to use first. After restarting the MS Outlook application, you can detach the affected PST file from Outlook by right-clicking on the specific folder and click the Close folder_name option. If a user is unable to open the affected PST file, then it advised to restore data from the recently created backup file. Click on File >> Open >> Open Outlook Data File for backup file. However, if a user is not having backup, then the one only solution is third-party commercial solution. If a user is unable to repair damaged PST file using scanpst.exe or any other manual, then one can go for a third-party tool i.e. Outlook PST file repair software. It is the tool that removes all type of corruptions from Outlook PST file. It recovers data items like emails, calendars, notes, journal, etc., from PST file. One can also repair severely corrupted Outlook data file using this tool. Moreover, the tool has an easy user interface that anyone can use this tool without any external help. Scanpst.exe did not fix the problem is the most common issue encounter by Outlook users. Whenever a user tries to recover Outlook data file, scanpst always finds error. It becomes difficult for a user to repair damaged PST file. Thus, if a user wants to recover Outlook data file with minimum corruption, then can use Inbox repair tool, otherwise, switch to a professional solution i.e. Outlook PST repair tool. 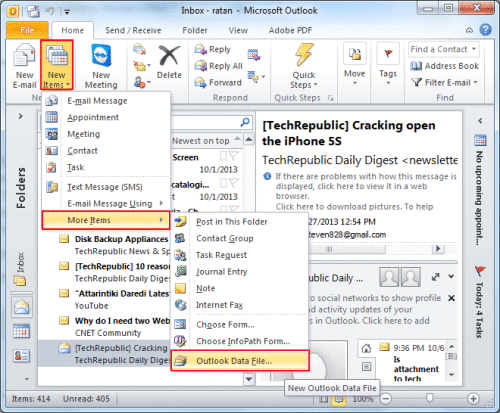 It is a tool that removes all type corruption from Outlook PST file.